Print Server : What is Printer Server, When it is needed ? The Customize Windows > Computer and Internet > Hardware > Print Server : What is Print Server, When you will need one ? Print Server : What is Print Server, When you will need one ? Print Server forwards printing job to printer. Print server is often used as standalone devices or dedicated servers. Colloquially Print Server includes both the software as well as the hardware on which it runs. Print server is used to print without network interface over the network to centrally manage or device drivers to distribute the work. The ancestral Print Server system is of client-server model. Print Server model was designed for Unix development, but also in implemented on Windows NT later. Samba is available on Unix. More print server technologies and protocols for print servers are available. The modern Internet Printing Protocol is based on CUPS. It is practically for all Unix-like operating systems but works on Windows too. Adapters are widely used for USB – IEEE-1284 or EIA-232 ports of printers in a printer server. Such devices have a rudimentary operating system and most have a web interface or software interface to manage them. They are used in order to provide printers with a network interface. They come in different versions for attachment to an IEEE 1284 interface or as a desktop unit , for managing one or more printers, with or without 802.1X authentication, for RJ connectors or wireless local area networks. Wireless Print Server as a device is not usually used for home or small office as they itself has a cost which becomes a burden from both recurring cost and space eating point of view. Print server functionality may be integrated with other devices typically such as a wireless router. 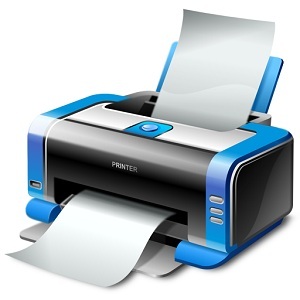 High end Printers usually have the integrated Print server functionality. All commercially available printers comes with the right type of connector which are compatible with all print server available. However, compatibility and data transfer rate must be checked from official documentation. Tagged With what is a printer , what is printer , what is printer? , printer used for , what a printer is used for , what is an printer , WHAT IS PR INTER , what is printer ? This Article Has Been Shared 6228 Times! Articles Related to Print Server : What is Print Server, When you will need one ? Title: Print Server : What is Print Server, When you will need one ? Cite this article as: Abhishek Ghosh, "Print Server : What is Print Server, When you will need one ?," in The Customize Windows, May 9, 2012, April 20, 2019, https://thecustomizewindows.com/2012/05/print-server-what-is-printer-server-when-you-will-need-one/.